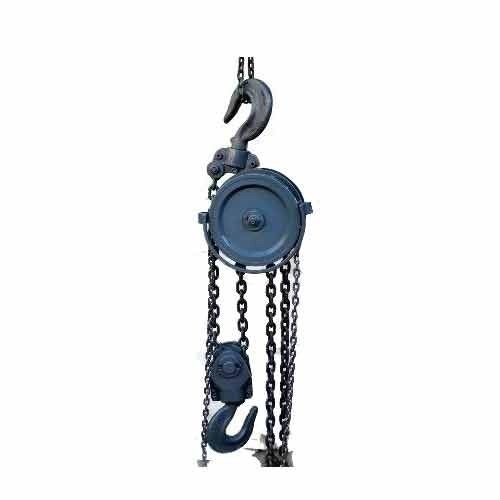 Leveraging the skills of our qualified team of professionals, we are instrumental in offering a wide range of Heavy Duty Chain Pulley Block. Established in the year 2007 at Visakhapatnam, Andhra Pradesh, we “Ezzy Lifting Tackel Equipment” is a Sole Proprietorship (Individual) based firm, engaged as the wholesale dealer and trader of Lifting Equipment, Pulling Equipments, Anti Abrasion Sleeve, Hydraulic Hand Stacker, Lifting Chain and many more. We are quality based firm always involved in providing best superiority tested products to our clientele. Under the esteemed guidance of “Mohammed Bakha (Proprietor)”, we have attained a huge client base in the market.